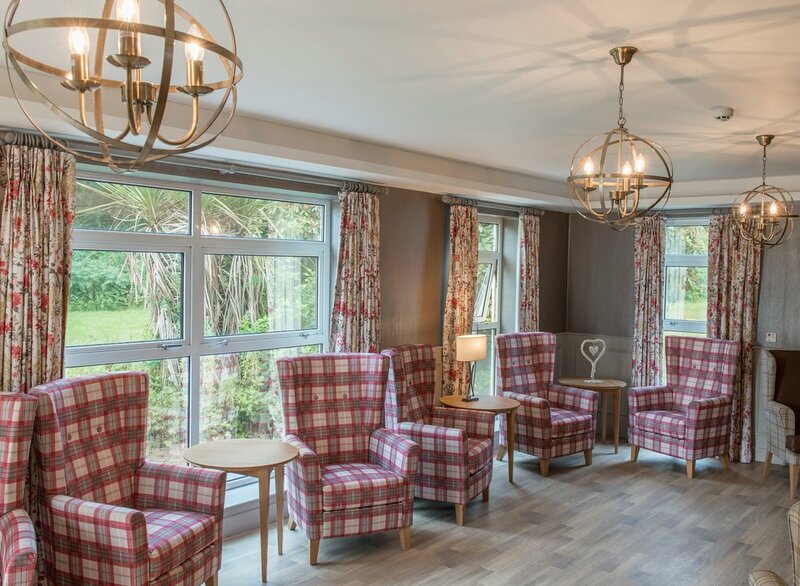 Calico Interiors worked alongside Leekes to renovate this 37-bedroom care home, located in Llandybïe. 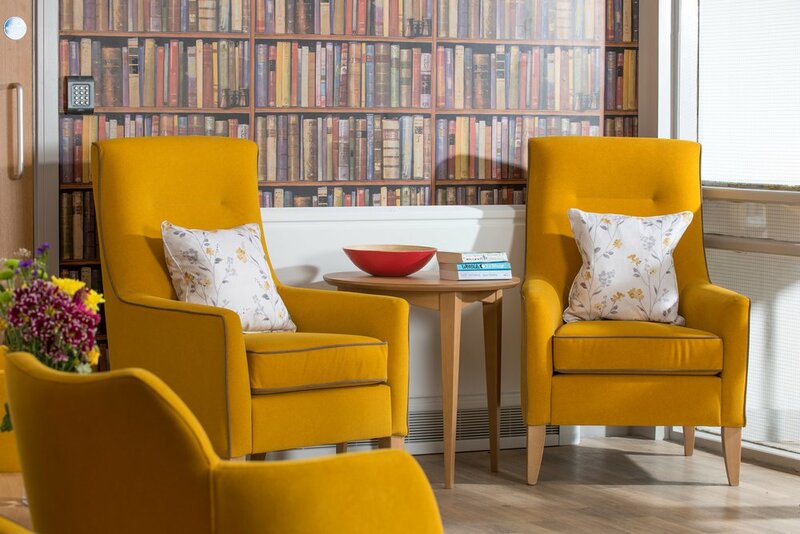 The site was reopened in January 2018, and we created the soft furnishings for the rooms, including the bedrooms, dining room and day room, as well as supplying the furniture, including the chairs for the hair salon. For each room, we also supplied the feature wallpaper, using designs from Andrew Martin, Panaz and Osborne & Little. We finished these with artwork from Camelot Pictures to add a homely feel. As well as this, we produced the window treatments in our workroom. We made double pinch pleat curtains onto wooden poles, which were blackout lined and stood out against the plain walls and paired nicely with the feature wallpapers. The piped scattered cushions were made with feather inners, and complemented the bedrooms perfectly.